Here's another one for the collection. 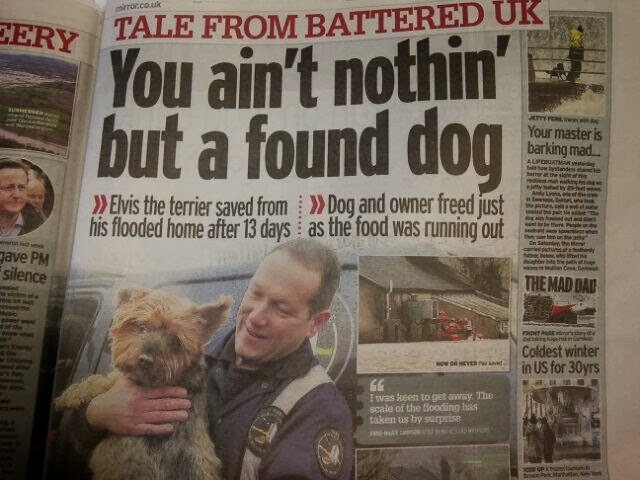 This one - about a dog called Elvis - is from today's Daily Mirror. Fancy editing in the Highlands?